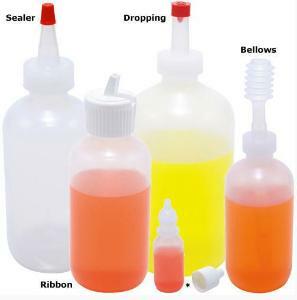 Dropper bottles with hinged dispenser caps for dispensing indicator solutions, dyes, and more. Capacity: 2 oz. (56mL). Package of 12.